How cool would it be if we could get 1000 bloggers on the same day to write posts about compassion, kindness, support, caring for others, non-judgement etc. 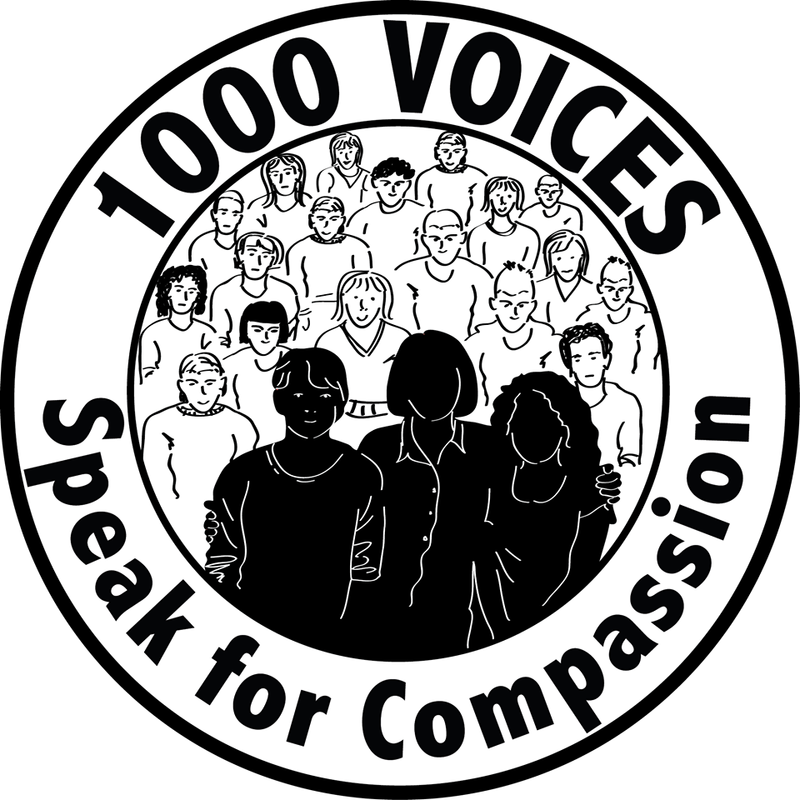 ?We could call it 1000 Voices For Compassion.Who’s in? Well, we have well over a 1000 voices doing this today! I am thrilled to be a voice among thousand others. It is my pleasure and privilege to host notable blogger, communications consultant and my dear friend, Suman Bolar, to answer questions on the myths and facts surrounding mental illness. Suman, herself, is a survivor of depression and has devoted a lot of her time to organising sessions that increase awareness of this and other forms of mental illness. She hopes that more people will come forward to share their stories of mental illness, thus erasing the social stigma around this prevalent issue. 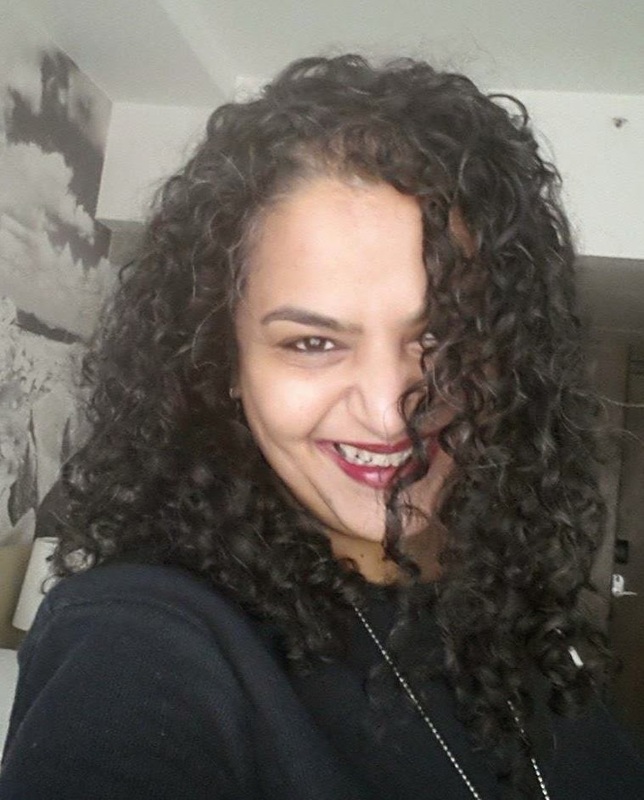 For World Mental Health Awareness week in October 2016, Suman was interviewed by the White Swan Foundation on the subject of living with clinical depression. The video below shares her story. In the interview below, I have posed the most commonly asked questions about mental illness. Feel free to ask more questions in the comments below. Once you’ve read, please share this post far and wide. Let us raise our voices together to bring more awareness. 1. What are some of the common and uncommon forms of mental illness that we see in the world today? I’d say clinical depression (also know as Major Depressive Disorder or unipolar depression) is the most common of all mental illnesses, with the WHO estimating that 350 million worldwide suffer from the disease. At the other end of the spectrum are rare conditions like Capgras Syndrome, in which you begin to believe that a loved one is actually an imposter in clever disguise. In between those two ends of the spectrum are Bipolar Disorder (earlier known as manic depression), schizophrenia, anxiety and panic disorders, and a host of personality disorders. 2. What is the difference between depression and clinical depression? A lot of people ask me if they are depressed when they feel sad, unworthy or unloved. The word “depression” is bandied about loosely, and I have to say I do not like that. You hear statements like “I’m so depressed! My car broke down this morning.” or “I get/fall into a depression whenever I read the newspaper headlines these days.” In these contexts, the speaker actually means to say “I’m feeling frustrated/angry/upset/sad.” Everyone has those feelings from time to time. It is normal, and the feelings subside in a matter of hours, or sometimes days. In a person suffering from clinical depression, on the other hand, those feelings persist for weeks together, worsen over time, and adversely affect sleep and appetite patterns – often, for no apparent reason. Clinical depression is caused by chemical changes in the brain that bring about changes in mood, thought and behavior. These chemical changes are caused by a complex interplay of personal, genetic, biological, societal, and environmental factors. Symptoms such as low energy, prolonged sadness or irritability, and lack of interest in daily activities make it difficult for them to function at work, at school and in relationships. 3. Can I identify if a person is suffering from depression? What are the signs I should watch out for? Unless you are a psychiatrist, do not attempt to diagnose anyone with depression or with any other form of illness. It can be hard to “see” clinical depression; contrary to popular perception, those suffering from this illness do not sit around crying all day, nor do they seem sad all the time. In fact, many people tend to overcompensate for how they are feeling by being more active than anyone else, smiling wider, laughing louder. That said, if someone you know is sleeping and/or eating much more or much less than usual, seems to tire out easier than usual, and appears to have little or no interest in anything – including activities that they usually enjoy, you are possibly looking at someone who suffers from clinical depression. However, these symptoms can also be indicative of other issues and illnesses, which is why you should not attempt to make a diagnosis yourself. 4. I know a person who needs help. Desperately so. But she is unwilling to see a therapist. What do I do in this case? One of the characteristics of MDD is an inability to see or accept that there is something amiss, so there’s no point trying to use logic to convince someone to seek help. The biggest gift you can give in such a situation is the gift of patience. Do not harangue or bully the person into seeing a doctor or therapist. Listen when they tell you how low they are feeling, and do not attempt to “fix” their problems or offer solutions unless you are asked for them. Suggest (or see if you can enlist the aid of their family members in gently suggesting) that they see a good general physician for one of the physical symptoms they are experiencing – exhaustion perhaps, or lack of appetite. A good physician should then be able to refer them to the right mental health professional. 5. Is medication always recommended for those suffering from depression? Can therapy or alternative treatments work just as well? No, medication is not necessarily the only answer. Very mild symptoms can sometimes be alleviated with a regular exercise program, regular deep breathing exercises, adequate social contact, and behavioral therapy. However, because depression robs you of energy and motivation, it can be be difficult to engage in these activities regularly and to the extent required. Medication helps alleviate the physical symptoms so that a person can actually implement thesemeasures regularly. SO to answer your question – in my view, medication is not always necessary, but it is usually an important part of the recovery process. 6. Do you think more people need to share their stories about depression? What do you think will be the fallout of this? Yes, absolutely. It’s just another illness, like diabetes or asthma. A diabetic is not afraid to say, in public, “Oh, I was really tired this morning because my sugar levels dropped.” Why should depression be treated any differently? I am often told that I am”brave” for talking about my illness. No one would say that about a diabetic, because diabetes has no stigma attached. So I think that if more people were to share their stories, the biggest outcome would be de-stigmatization. And the more it’s de-stigmatized, the easier it is to discover and therefore treat. 7. Once people recover from this illness, what are the precautions they need to take to prevent a relapse? This is a tough question, because some people, such as myself, never really “recover”. For people like me, it can only be “managed”, and not “cured”. Also, if you have experienced one episode of clinical depression, you are susceptible to experiencing another one, especially during times of stress or hormonal change. If you have been diagnosed once, you are always at risk, and you have to be aware of that. So perhaps “once you stabilize” is a better way to put it than “once you recover” . There are several things you can do to stay stable and minimize the chances of a relapse. One – and I cannot stress this enough – if you have been put on medication, take it regularly. DO NOT stop taking it or lower the dosage without medical advice simply because you are “feeling better.” This can cause severe and sudden relapse. Two – Exercise regularly. Emphasis on regularly. Every day, if possible. Yoga is fantastic because it also incorporates deep breathing techniques, but even a 20 minute walk a day can help. And three – Learn how to recognize the signs of an impending relapse, so you can head it off at the pass. These early warning signs are different for each person; in my case, for example, if I my appetite goes awry, or if I can’t sleep for more than two days in a row, I know I am headed for trouble. “Heading it off at the pass” could include deep breathing exercises that activate the parasympathetic nervous system; yoga; checking in with your doctor; getting more sleep; exercising a little more; getting out into the sun; or spending time with friends. Anything that will help you regain chemical balance in the brain. Repeat after me: You are not alone, You are not “mad”, You are not “weak”. There are many people who suffer from mental illness. In fact, I have just launched a mental health resource web site to disseminate information about mental health and emotional well-being, and hope to soon begin a support group for those suffering from clinical depression. Remember – clinical depression is easily treatable. The best thing you can do for yourself is reach out. Suman Bolar is a Bangalore-based communications consultant and food writer who wears many hats. While she has been a professional writer for over two decades best known for creating FTBlog, a blog about food and travel (www.foodtravelblog.in), she specializes in corporate and business communications. She likes to swim and garden, is a gadget geek, collects art, reads voraciously, loves travelling to far-flung places and is passionate about spreading mental health awareness. Hi Suman! How wonderful to meet you! Depression is one of the most misunderstood and trivialized conditions today. Thank you for the education. So much to be said for a healthy lifestyle. The worst thing, perhaps, is the stigma attached to seeking professional help. Incidentally, when I say I am diabetic, people instantly judge, saying “oh, these days … people's lifestyles….” 🙂 – most people have no inkling that one of the causes is heredity. So – there will be stigma where it can be applied! Great post, Shailaja. Thank you for sharing this Suman. Indeed, once the stigma is erased, more people will be willing to accept their condition and talk about it too. Thank you, Suman for sharing valuable insights and thanks Shailaja for having her in this space. May your efforts to educate and offer help reach far and wide! Quite an informative post. I'm sure this will help a lot of people who are victims of myths surrounding this illness, that has become as common as a common cold. Thanks for the detailed info, Suman. This post was quite a thoughtful initiative, Shailaja. I found the interview very informative specially the distinction between sad and being depressed. It's necessary that we spread awareness and acknowledge this as a serious condition. Specially family members whose support will always be needed by the patient. Thank you for writing this post. That was a very informative and insightful Q & A. There are so many myths and stigma attached to mental illness, still! Hope more people seek medical help and lead a happy and a healthy life. Informative and so insightful. This needs to be shared and understood by many! Thank you Suman and Shailaja! A lovely question and answer session. I agree completely with Suman. We must not use the words depression, OCD etc. loosely sometimes even as badges. These are serious conditions that require intervention. And she is right, usually those suffering from depression refuse to seek help. It gets really tough on their family members as well. I wish the society would not look down upon mental illness preventing many people from seeking help. Thanks Suman and Shailaja. Great post Shailaja and Suman ! I think it really is one of the most misunderstood diseases of today. Thanks for a really informative post ! Shailaja ..great topic to focus on today. Quite an informative post, Shailaja and Suman. Thanks for sharing, the difference between depression and clinical depression is so important to understand. So many questions,,….. well answered.. Thanks for sharing this very informative post. Depression is truly a misunderstood condition and deserves our compassion instead of indifference. This is a great post. I especially appreciate your statement about how a person does not really recover from depression. It is something you manage throughout your lifetime with the help of medication and therapies. Thank you. This is an excellent interview/article. I was enlightened, especially with the answer to #2 which I have never asked but always wondered. Thanks Suman and Shailaja for this informative post.It was a good read. Shailaja, you have shared a wealth of gems in this post. Suman, you have spoken so well about depression and it's effects and have successfully tried to demystify it. I understand when you take of the stigma as people everywhere want to hide it. A lady I knew refused to get help and choose to distance herself from everyone rather than get help. Thank you Shailaja and Suman, great initiative and I am sharing in all my networks. Depression is a major ailment. High time we deal with compassion. Many times, love & spending quality time with loads of compassion & understanding is the solution. I'm really late here but I found myself nodding through that post. People need to know depression better. I loved that last bit of advice You are not alone, You are not “mad”, You are not “weak”.